Own a piece of history with this one-of-a-kind 1794 brick home in the heart of New Oxford. This timeless beauty features an inviting vestibule, gorgeous hardwood floors, charming built-ins, crown molding, wide wood trim, multiple fireplaces, large kitchen with center island, duel staircase, spacious bedrooms, and so much more! Separate cozy guest house, fenced-in private rear yard, charming porches and balcony add to this home's charm and appeal. 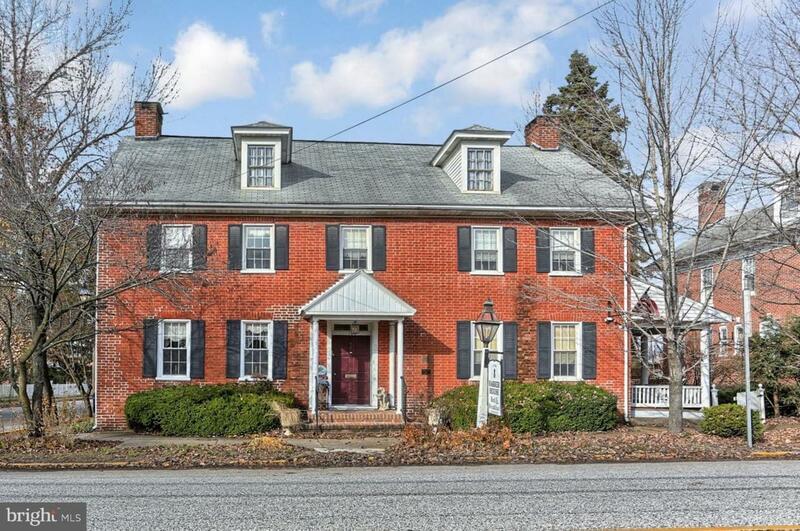 Perfect central location... 10 miles to Historic Gettysburg, 6 miles to Hanover, and close to PA/MD line. Home is Bed and Breakfast ready and furnishings are negotiable. Contact to schedule your private showing today!